Omega Renk Bearings supplies hydrodynamic lubricated slide bearings for applications such as electric motors, generators, pumps and marine propulsion for RENK. RENK E – Type bearings are slide bearings which can be assembled together, to suit requirements in a number of alternative ways by using pre-fabricated units. Primarily used in electric machines, fans, turbo compressors and horizontal water turbines, they can be used almost universally in the engineering industry. 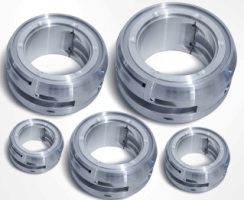 Interchangeability of bearing shells and parts make replaceability easy and helps reduce inventories. The bearing shells are spherically seated in the housing. 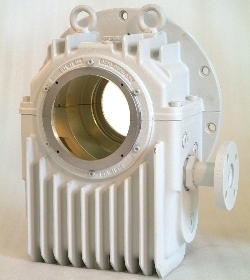 The shell consists of a steel body which is lined with RENK metal therm 89. Different thrust faces are designed for different loading conditions. The perfect metallic bond between steel and bearing metal is guaranteed by the specified ultrasonic tests.